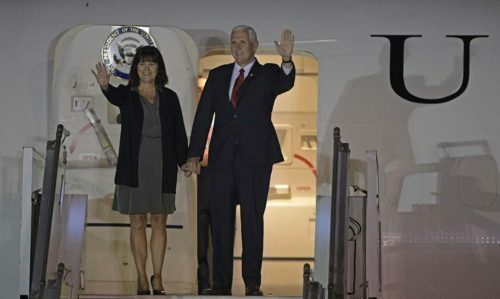 Vice-president Mike Pence arrived in Buenos Aires last night, after visiting Colombia. His next stops are Santiago, Chile, and Panama City, Panama. Mr. Pence replied that the U.S. was confident that peaceful solutions could be found, and that Mr. Trump’s remarks on Friday had merely reflected his resolve to address the situation. The nationwide primary, where voters cast a single ballot for their choice among a raft of candidates from each party, determines which parties are eligible to run for midterm congressional elections in October, providing an indication of voter preference ahead of the midterms. With more than 97% of votes counted early Monday, Mr. Macri’s Let’s Change coalition beat opponents in half of Argentina’s provinces, dealing a setback to former President Cristina Kirchner’s plans for a political comeback. 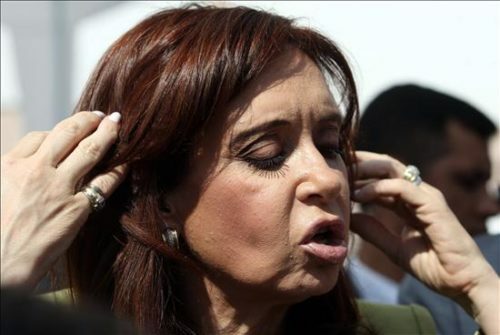 Although Kirchner lost Sunday’s vote, she can still win a seat in October. In Argentina’s Buenos Aires province, the party of the first-place finisher wins two seats and the second-place finisher gets one. not only in Buenos Aires but also in Argentina’s four other most-populated provinces, including Cordoba, Mendoza and Santa Fe. They also won in San Luis, which has for decades been dominated by the Peronist Saa family. Argentina’s peso rallied 3.2% Monday morning, its best gain of the year. Its stock market, the MERVAL, gained 3.6% after opening, one of its best rallies of the year. Pence arrived at the right time. Over in Argentina, former president Cristina Fernández de Kirchner, who came to power when her husband Néstor Kirchner died suddenly of a heart condition, sees a storm is threat’ning. Read my post, Gimme shelter, says Cristina in Argentina. Former President Cristina Kirchner filed papers on Saturday to run for Argentina’s Senate, launching a campaign that could, if elected, give her congressional immunity from federal prosecution for alleged money laundering and racketeering during her presidency. In one case, a judge ruled that Mrs. Kirchner ran a criminal “gang” aimed at profiting from the illegal disbursal of government funds for infrastructure projects. In another case, she was indicted over accusations she ordered Argentina’s central bank to illegally trade derivatives, costing the country about $5.5 billion. If Mrs. Kirchner wins in October, she would be eligible to run for the presidency again in 2019, when Mr. Macri finishes his first four-year term. One can only hope there are not enough stupid people to vote for her. She only needs 25% or so to get a Senate seat, according to the above article. Former president Cristina Fernández de Kirchner, along with her children, has been charged with money laundering. 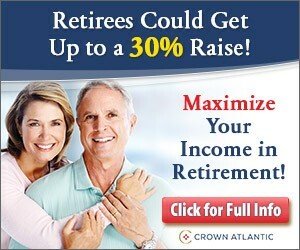 When the news popped up last week, I thought it was an old news item. It is, and it isn’t: This is the fourth time she’s been charged with money laundering. Argentina ex-President Cristina Kirchner has been criminally charged for the fourth time, and her passport has been confiscated. The latest charges stem from alleged money laundering in real estate ventures. Former Argentine President Cristina Kirchner was formally charged with money laundering and running a criminal association related to real estate dealings, the country’s Judicial Information Service said on Tuesday. Kirchner, who served as president from 2007 to 2015, already faces trial in a separate case for alleged financial mismanagement in office. It is the fourth set of criminal charges to beset the former president. Judge Claudio Bonadío said Kirchner was criminally responsible for being part of an illicit association, which she headed, and involved in laundering assets of illicit origin. The charges were aggravated by the fact that Kirchner was a government official and was involved in negotiations incompatible with her position as president, the judge said. Also charged were Kirchner’s two children, Florencia and Maximo, who is currently a member of congress. Businessmen Cristobal Lopez and Lazaro Baez were also prosecuted as head of a company set up by the Kirchners which owned several hotels in Santa Cruz province. In addition to the money laundering cases, let’s not forget that Cristina has pending charges for allegedly ordering Argentina’s central bank to illegally trade derivatives, which cost the country $5.5 billion. $5.50 says she doesn’t serve time.